Hurry! Call Now for exciting deals! Free gold voucher on every booking. Providing you with a lavish style of living Ruparel Orion by Ruparel Realty is a residential development situated in Chembur (East), Mumbai Harbour. They provide you with 1 BHK, 2 BHK and 3 BHK apartments. This project is spanned across a wide area. All of this is situated in a convenient and friendly neighborhood with outstanding amenities. The project is approved by Maharashtra RERA. The suburb in the eastern Mumbai, Chembur has emerged as a residential hub from an industrial hub. An old and fully developed suburban area, it is located at a distance of approximately 15 kilometres from the central part of the city. Better connectivity, development of social infrastructure and increasing demand for property in Mumbai, have enhanced the Chembur real estate market. The building of the monorail and the Eastern Freeway, have significantly contributed to growth of Chembur. The real estate scenario of Mumbai has seen dynamic changes over the years and still continues to grow. The city has a number of suburbs that have witnessed transformation into residential hubs. The financial capital of India has a number of real estate developers. The property rates have witnessed fluctuation but is on the higher side when compared to real estate of other cities. Where is Ruparel Orion located? Chembur (East), a prime residential locality for house seekers in Mumbai Harbour. What are sizes of apartments in Ruparel Orion? The apartment sizes in the project range from 446.0 sqft to 980.0 sqft. What is size of 1 bhk in Ruparel Orion? 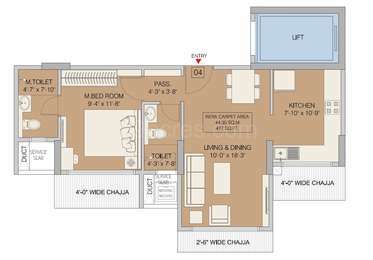 The area of 1 BHK apartments ranges from 446.0 sqft to 482.0 sqft. What is the 2 bedroom size in Ruparel Orion? 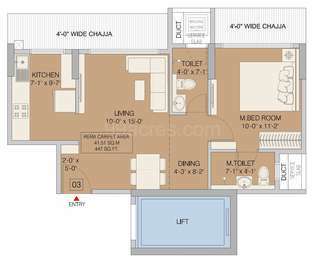 2 BHK units in the project are available in a size of 813.0 sqft to 821.0 sqft. What is size of 3 bhk in Ruparel Orion? The area of 3 BHK apartments ranges from 949.0 sqft to 980.0 sqft. How much is the total size of Ruparel Orion?The project is spread over an area of 1.68 Acres. h of their projects has construction that is par excellence, world class state-of-the-art facilities, eco-friendly living and working spaces and an absolute value for money. The builders have created valuable trust and firm confidence in customers. I have chosen two projects for end-use but in different localities. 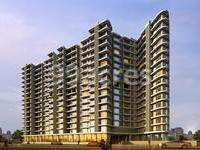 One project is in Chembur East and other project is in Tilak Nagar. I want to know which place is better in terms of end-use and social infrastructure. Hello Abhay, in these two localities social infrastructure is almost same and good. But I would suggest you to go with Tilak Nagar because capital values have been dipping in Chembur East for last few quarters. On the other hand, Tilak Nagar has witnessed an appreciation of 8.6 percent in capital values in last one year despite slow real estate market. Also, according to experts, Tilak Nagar market will improve as it cheaper as compare to nearby areas. When can I expect possession of this project? Tell me about the towers, floors and units available here? Also, is this project registered with RERA? Dear Amit, yes Ruparel Orion is registered under RERA and possession is expected by December 2019. The project is spread across 1.68 acres of land and features 2 towers with 16 floors and 203 units in total. In this project, there will be 1BHK, 2BHK and 3BHK apartments. Currently, you can get only new units here. A 1BHK apartment will cost you for around Rs 95 lakh-Rs 1.10 crore, a 2BHK apartment will cost you for around Rs 1.90 crore and a 3BHK apartment is for about Rs 2.1 crore-Rs 2.2 crore. After completion, the project will have amenities such as acupressure park, indoor games, jogging track, yoga/meditation area, video door security, party lawn and senior citizen sit-out, among others. Before buying property here, kindly conduct a site visit.